Our organization is passionately engaged in offering Copper Phosphorus Brazing Alloy. The provided gamut is suitable for brazing copper and copper based material. This brazing alloy is known in the market for its several significant attributes such as high quality and easy usage. Offered brazing alloy is sourced from some of the authentic vendors of the market. Apart from this, our esteemed clients can buy this brazing alloy from us at nominal prices. Copper-Phosphorous Brazing alloys for copper and copper based materials brazing alloys can be used at working temperatures from -55 C to 150 C.
The Phosphorous containing brazing alloys are especially developed for the joining of copper with copper or of copper alloys (brass, bronze, red brass). The use of an additional flux is not necessary when brazing copper to copper due to its phosphorous- content but should be used with copper alloys. 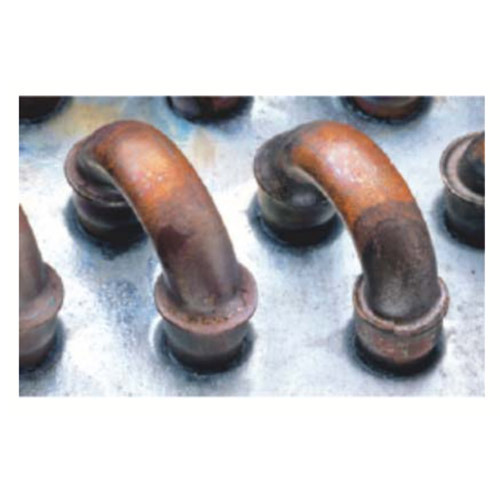 These brazing alloys should not be used in the brazing of material that contains sulphur. Came into existence in the year 2012, our company "Brisloy Tools India Private Limited" is a reliable company, engaged in trading and supplying an extensive array of We are the leading Trader and Supplier of Brazing Alloy, EDM Wire, End Mills, MIG Brazing Wire Alloy, Silver Brazing Alloys, Vapour Flux, Turning Component, Milling Cutters, Cutting Drill, etc. These products are known for their outstanding features. Our firm is operating its entire business activities with its head offices situated at Gurgaon (Haryana, India). Offered products are manufactured using the best quality raw material and modern machines in tandem with the set global quality norms. These products are broadly demanded in refrigerating, telecommunication, electronic and many more industries, owing to their superb features such as sturdiness, light weight, high durability, excellent physical properties and superb strength. We offer these products in several specifications in order to suit all needs of clients. We are offering products of some well-known brands like Greenleaf, SAU, Brisloy, Becker, TBT Tiefbohrtechnik, Ultra-Dex USA, MPA, etc.